A new Lent study for film fans and Lent followers alike, this guide uses the film 'I, Daniel Blake' to explore what the Christian response is to today's need for compassion and justice. Nothing More and Nothing Less is a new and original Lent course by Virginia Moffatt, which uses the powerful, multi-award winning film I, Daniel Blake, directed by Ken Loach and written by Paul Laverty, as an opportunity for us to question why so many people in our society are suffering, what causes injustice and oppression – looking at examples from Jesus' time as well as today – and what we can do in response. • Fighting Back or Giving In? Nothing More and Nothing Less by Virginia Moffatt was published by Darton,Longman & Todd Ltd in November 2017 and is our 1009th best seller. The ISBN for Nothing More and Nothing Less is 9780232533446. 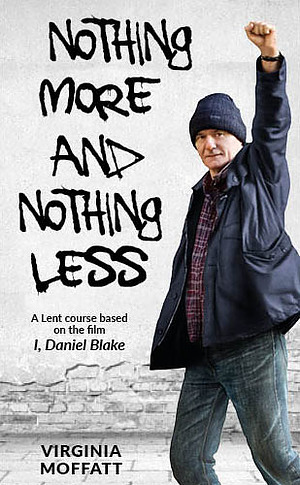 Be the first to review Nothing More and Nothing Less! Got a question? No problem! Just click here to ask us about Nothing More and Nothing Less.